Heat sinks are a vital component of modern manufacturing and are used in a variety of products such as smartphones, computers, LED lights, refrigerators, and power resistors. In its most general definition, a heat sink is any object used to transfer heat away from a heat-generating component. There are many types of heat sinks, including active heat sinks such as fans and passive heat sinks such as extruded aluminum heat sink manufacturing. Active heat sinks can offer more powerful cooling capabilities, while passive heat sinks are more reliable due to their lack of mechanical parts. There are many different kinds of heat sinks in these broad categories. Two of the most common heat sinks are finned extruded profiles and heat pipes. But what is the difference between these two thermal management solutions? The most basic form of heat sink is a metal structure with several flat fins that air can flow through. The most important aspect of an extruded profile heat sink is the conductivity of the material and the surface area. 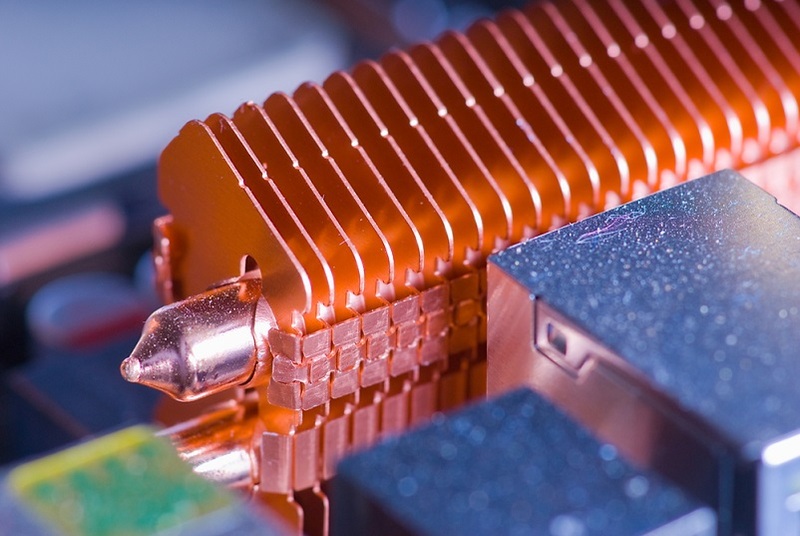 Copper and extruded aluminum heat sink manufacturing are the most common due to their high conductivity. Heat sink extrusions manufacturers achieve greater surface area through efficient fin design. A heat pipe is a more complicated form of passive heat sink that uses evaporation and condensation to transfer heat from an object. Heat pipes are a particularly effective form of heat sink, with a conductivity range of 10,000 to nearly 100,000 W/mK. They are often used alongside aluminum extrusion heat sinks. Aluminum heat pipe design and technology can accommodate several different temperature ranges and thermal conductivity ranges. Do You Need a Custom Heat Sink Company for Your Thermal Management Solutions? Heat pipe/heatsink aluminum services company Getec Industrial is one of the top aluminum heat pipe manufacturers in North America. For more information about our heat sink manufacturing, contact us online or call us at 888-000-8499.